Obviously this is a parallel. Because Nora storming around and shutting down any fallacies around the departure is pretty much the same thing. She is seeking her own control – putting the Depature in the past and slamming everything that may change that. She also explains her broken arm – she did it herself to cover her new tattoo. It was a tattoo of her children’s names: but then she realised this would be something people talked about forever – she would always be asked about and have a display of her lost children forever. She would always be Nora Cused, the woman who lost her entire family. Thus established, Nora returns home and she takes that picture she took of the corpse and publically displays it. Including front of her grieving wife. But she’s also brutal – because she came through fire and she kind of has no patience for those who were singed. Because she doesn’t really see the collateral damage in her quest to stop all the lies and the false hope. And this episode did a great job of showing all that – but we already knew this, didn’t we? We’d already seen this? They’re trying to drown him because he’s a police chief named Kevin so it’s time to tie him to a board and lower his head into the water. It was not eaten by a crocodile, stung by a jelly fish, bitten by a sea snake or savaged by a koala. So I don’t think this is being filmed in Australia. Look I get this episode is so incredibly powerful and emotional and thematic. 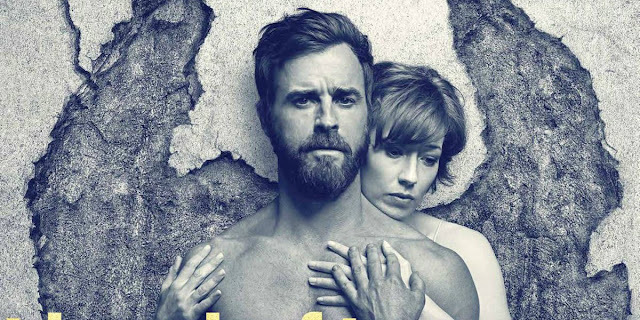 This is something that The Leftovers is so very good at. So incredibly good at it. It is, I can’t and won’t for a second deny that. The horror of the Departure, the uncertainty around it, everything be forever in doubt and the emotional wreckage it left in its wake – it’s all so very powerful. But it has been very powerful for 2 seasons now and I need something to go with this powerful background.